ACE-EXPO SHOW CASE RENTAL, DELIVERY, REPAIR. 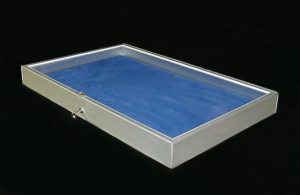 We buy, sell, and rent display cases for all types of shows, including coin, jewelry, firearms, precious metals, and collectible.for all kinds of events. Delivery, load, unload and pick up available. 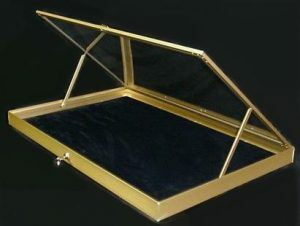 Tabletop 22″x34″x3″ polished aluminum, or brass color, hinged glass top show cases with locking mechanism and key. DELIVERY AVAILABLE WITH 200 MINIMUM RENTAL. EXTENSION CORDS, POWER STRIPS, WITH SURGE PROTECTION.